Why choose Manucomp? At Manucomp, people make the difference! Our success depends on a unique combination of talent, technical expertise, consulting experience, intuitive business sense, as well as a strong work ethic that enables our staff to work with every client and their individual needs. We're a leading enterprise solutions reseller specializing in the Cisco, Oracle, HP, IBM and Juniper product lines. Need more information on any product or service? Just ask! The new access points are designed to enable seamless connections with a 30 percent boost in performance. 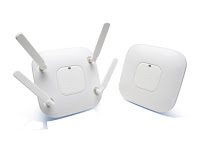 Using multiple spatial streams and 4 antennae helps to eliminate access location problems. Some have a card that can be inserted enabling 3G as well. 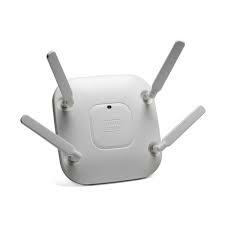 With Cisco's $1.2 Billion buyout of Meraki, expect better tools shortly to manage your wireless devices. *Ten packs are also available at a slight discount. copyright © Manucomp 2009. All Rights Reserved.. Awesome Inc. theme. Powered by Blogger.